Amidst the possibly most stressful period prior to the release of ‘Privilege’ in four weeks, i thought to share a few updates. 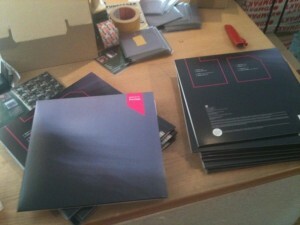 It’s a hand numbered, strictly limited (to 500 copies) double vinyl. No. 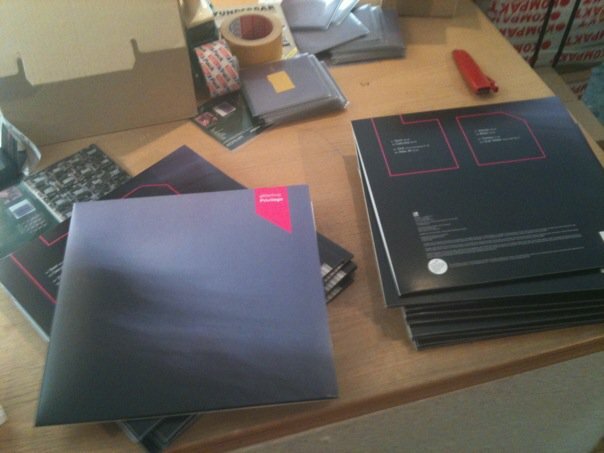 1-360 have the beautiful CD booklet as part of the package. The vinyl edition has a bonus track that won’t be available digitally or elsewhere, and since we could not fit the whole 20 tracks / 2,5 hrs of music of the CD on vinyl, everybody that purchases the vinyl (and sends us a picture of the hand written number and of the vinyl in a beautiful surrounding of their choice) will receive a download link to the whole CD album. We have many great shows in the queue for this summer (among them Spot Festival/ Denmark, Off Centre Festival Amsterdam, c/o pop Cologne, MIGZ Festival Moscow, and Oslo Live Festival), so make sure to check the dates section every once in a while and come visit us in one of our shows! This entry was posted on Friday, April 16th, 2010 at 8:42 am and is filed under Daily Things, Dates / Gigs, Releases. You can follow any responses to this entry through the RSS 2.0 feed. Responses are currently closed, but you can trackback from your own site.